In the most pure Tuscan tradition are the extra virgin olive oils “Sonnino” and “Laudemio.” Both are the result of a specific cold press of cultivated olives from the property. The typology is Tuscany classic: Moraiolo and Frantoio are the major types of olives with a little percentage of Leccino and Pendolino. 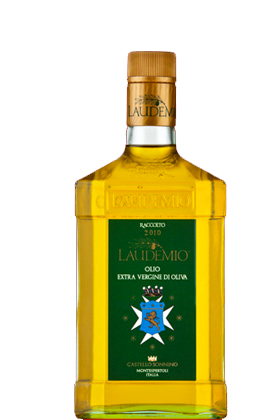 The “Laudemio” is the result of the first production that are pressed the first day after harvest. The amount of oil produced is very small, but expresses a fruity and aromatic smell, intense and a clear with a low acidic base.